You all know my friend Katrina, right? And her adorable, inspiring, hand-painted prints, right? As if if she wasn't sweet enough, she wants to offer one of you FIFTY BUCKS to spend at her shop. I KNOW. SO HARD TO CHOOSE!! I just kinda want to be like I'll take one of everything, sir. This girl is amazingly talented and I'm so grateful she has decided that share that with all of us. These are beautiful. Such a great talent. I love the "Offer it Up" prints. I love the St. Catherine of Siena one! I love her prints! I have one in my kitchen window and would LOVE more. Also, what is the discount amount? Holy crap these are cute! i want! My "Patience is the companion of wisdom" print arrived today, and I love it so hard. I could spend $50 in her shop in under a minute, with my eyes closed and be thrilled with the results. I love ALL of them! ;) My favorite of her Christmas ones is the "Pause in the silence to understand a Presence." I recently got the "pots & pans" print, but I am digging that Joy. Love her art!! Love my pots and pans print and can't wait to add more to my collection ! I love the one about patience being the companion of wisdom. Also the one about smelling a baby's head would look darling in my soon to be born baby girls nursery. Be who God meant you to be....is a fave!! That Joy one! Love it! Stop and smell the top of your baby's head...perfect! Love the new beer print!! My kitchen / dining area needs it. SO beautiful. "Preach the Gospel Always..." And "Stop to Smell..." are my personal favorites. Thank you for the chance!! I've already bought several prints as gifts this year. I think I'd really like God walks among the pots and pans fot our kitchen. Erectile dysfunction is a common health problem in men. Men who happen to have the problem need to find out the causes of erectile dysfunction and need to gain as much knowledge about it to be able to deal with it better. There are various causes of erectile dysfunction, both physical and physiological in nature. Stop and smell is my favorite! I just ordered one of her advent prints so I'd love to buy the joy print to replace in the frame once Christmas has arrived! Also my favorite is St. Catherine of Siena! I've ordered from Katrina before and loved the print! Her shop is a gem, and I'd love to be able to get more! I really wanted the Offer it up mug, but she sold out quick! These are so lovely and feminine! I love the St. Catherine quote best! Love love love the pots and pans print!! I love that St. Catherine of Siena quote and the water color is beautiful! Oh I love the "Pause in Silence" one! So beautiful! I've wanted a verse printed for a friend- will definitely check her out on Etsy. I ordered one for my sister in LA but really I want one for myself! Merry Christmas to me!!!! The flowers one rocks my world! I have four of Katrina's prints and I love every single one. What a gift she has! Thanks for the giveaway! I love that Joy print for Christmastime! For this time of year "Joy" is just perfect. But the beer print would be perfect for our bar area. Not having done any Christmas shopping yet, this is a great opportunity to find meaningful and lovely gifts for family. Thanks for the opportunity! 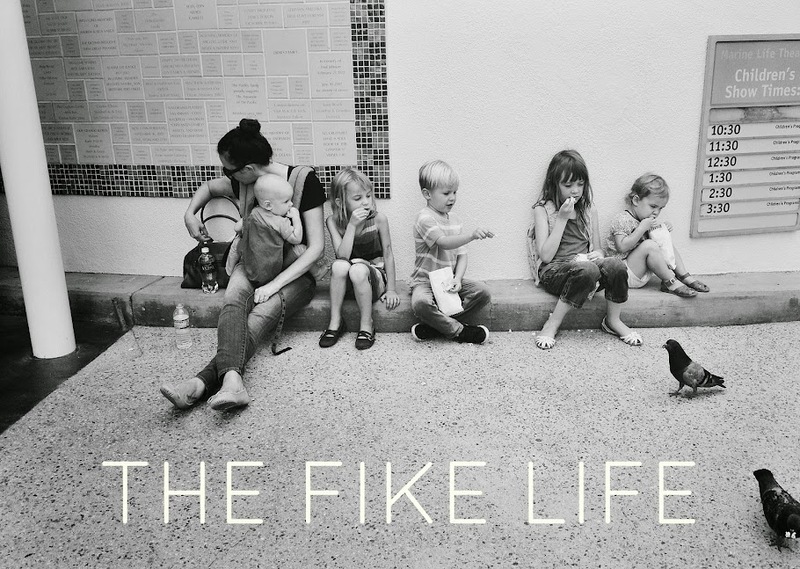 The 'How Can You Say There Are Too Many Children?' one is adorable! I love the St. Zelie quote! I like the "pause in silence to understand presence" one. So lovely! I want an offer it up print. I love the ship image! Beautiful! These are BEAUTIFUL. She is so talented! Also also: I LOVE the beer print and the "My vocation is love" one! Ahhh! The Catherine of Sienna is awesome! I really need some Christmas decor. My "Christmas" situation is pretty pathetic because it seems like a bit of a waste without kids -- but hey, I love Christmas, too! Love the "God walks among the pots and pans". Definitely a reminder I need! I already have her "pray, hope, and don't worry" print but also love all the new advent ones! The Beer Came into this World print is perfection! thx for the rad giveaway blythe and katrina!!! 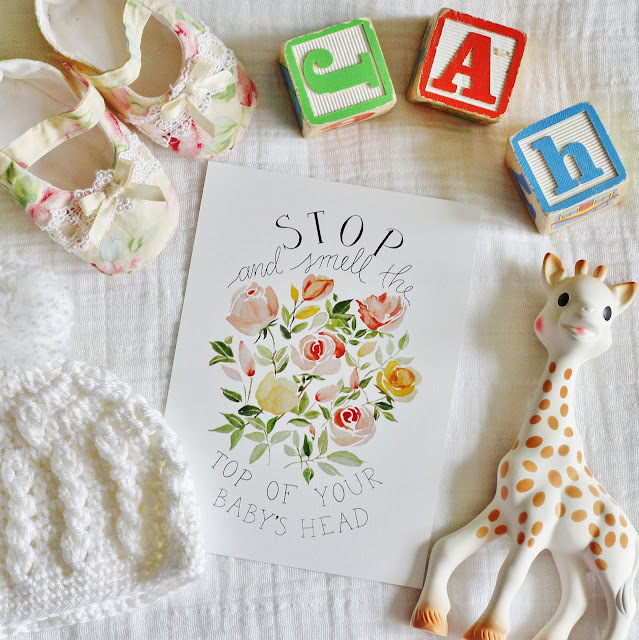 These prints are just adorable, especially the one about smelling the top of your baby's head! So sweet! I love the Joy one and the Pots and Pans! That Ambrose of Milan quote just made me tear up here at my desk. I want to have it in my home so I can weep at will. I love pretty much all the St. Therese quotes! I love the joy print! I love the world is your ship print. I love the print with the "Thy world is a ship, not thy home" quote! I'd love to win! These look like they'd be perfect for our baby we're expecting in the spring. I love the one about too many children! I really like the quote by St. Zelie Martin. I LOVE the Ave Maria print! All of Katrina's work is so beautiful. And I love seeing my favorite blogs teaming up! beautiful prints! thank you for the giveaway! I have so loved Katrina's work from the get-go. Every time she introduces a new print I think 'no, that's my favorite!'. I have such a hard time choosing and making up my mind, that I haven't ordered yet. Soon hopefully! Anyways, I love her quote by St Catherine of Siena about setting the world on fire. So hopeful. I love the St. Catherine of Siena print "Be Who God Meant You to Be." My husband would love the beer print for his home brewery! I'd like to have the Whatever God Wants print! My favorite is the quote that having too many children is like having too many flowers. Just got the Pope Benedict one in the mail yesterday - it's simply beautiful! Love the prints with the quotes from St. Zelie Martin. Oh, the image of God one is perfect, but I love the I shall spend every moment loving one too! I love all of her prints! I've been eyeing the offer it up print! The world is thy ship not thy home - a new quote for me. Love it. Love the Catherine of Siena quote! I've been eyeing "Pray, Hope and Don't Worry" for a while now. Katrina is so talented. Thanks for offering this giveaway! I'm loving the new Christmas prints and the beer print! It's so hard to choose! I love the Advent and Christmas prints! Love the pots and pans quote, but so hard to choose! I love the "whatever God wants" one! The stop and smell your baby's head has been my favorite for a while but the beer ones are pretty awesome too! Pause in silence, or stop and smell!!! Stop and Smell is just adorable. Hard to pick, but I love the Joy one. Need more Christmas decorations around here! Really like the padre pio one! Ordered one just being patient for it to arrive! I can't pick a favorite. I have several on my Christmas wish list. The beer one is so great. The Christmas ones are beautiful. So hard to choose, but St. Catherine wins! I've been wanting that St. Catherine of Sienna print forever! Love love love. Such pretty choices! I love the "pots and pans", and Catherine of Sienna, and the beautiful Christmas prints...I love them all! Stop and smell the top of your baby's head! I need this! I love the "offer it up" one, and the beer one! I like the St. Ambrose print, but how can I choose just one? "Pray, hope and don't worry" - love it! Love the offer it up mug, but also the St. Catherine of Siena print. What beautiful, creative and funny prints. That "How can you say there are too many children" quote is so great! I love them all so much! They're all so beautiul! I love floral prints so I might be partial to those, but I can't even say that because I love them all! Love all of them. So much. Period. Love all of her work so much, but "offer it up" fits my life best now! The Mother Teresa quote is beautiful! I love the "Pray, hope, & don't worry" print. They are all so pretty! Love all of the prints...such a wonderful shop!! So lovely! The Joy print is beautiful, but the Teresa of Avila is my favorite! I have an Ambrose and a Teresa -- so hard to choose!